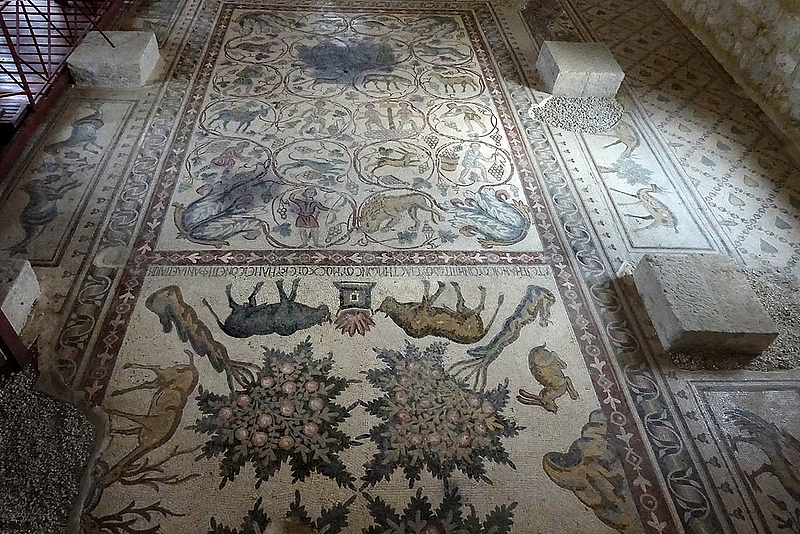 View of the the central mosaic divided into two areas framed by ornamental borders. The Eastern field shows a dynamic vine scroll composition with pastoral, hunting, and wine making scenes. The Western panel is square, with four trees diagonally centered, and pairs of animals between them. Nilotic scenes and animals can be found in the inter-columnar spaces positioned to be observed from the nave.